That being said, I'd like to moderate the following thoughts by reminding you that this is just ONE way of scheduling your school year. It is by no means the ONLY way or the RIGHT way. You, obviously, have completely different dynamics to deal with than I do and will need to adapt any/all of my thoughts to your home. Now that we've agreed upon that and have solidified the deal with the "homeschool moms' secret handshake", let's jump right into our planners. Shall we?! Because I live in a region that has a very short outdoor season (I live in a snow globe for 80% of the year. ), I refuse to do any traditional schooling much past May. We still get plenty of learning done in the summer, it just comes much more organically. If, however, you live anywhere but here, I'd highly recommend the idea of Sabbath Schooling, a schooling-style that mirrors God's pattern of six portions of work and one portion of rest. 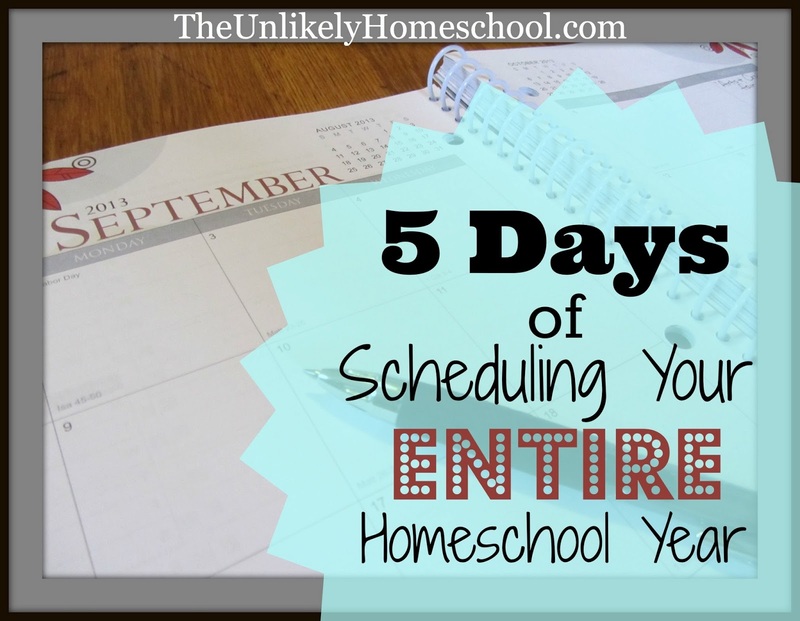 There are actually many different school calendar styles apart from traditional and Sabbath Schooling, so research all of them and choose the one that will work best for you and your family. While my local school district has always been very gracious and helpful (in my experience, anyway), I recognize that not everyone can say the same. For more information on your state's homeschooling laws and/or attendance requirements, I'd recommend seeking the counsel of the Homeschool Legal Defense Association. 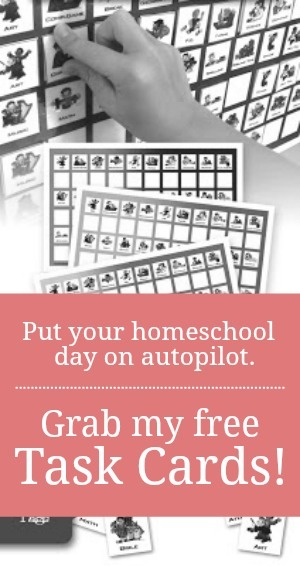 As I mentioned, The Well-Planned Day planner is my personal favorite homeschool mom's planner. If you're interested in having one of your own, be sure to head on over to enter to win your very own FREE copy! Tried to watch the videos, but it said they are "private". Thought I'd let you know. Oops, my fault. I think I got it fixed now. Thanks so much for letting me know! Finally got a chance to watch them. Love how organized you are. Inspiring! Same thing happened when I tried to watch them! :( Hopefully they can be fixed, because I REALLY want to watch them! Thanks so much for doing this! Think I got it fixed. I hope you're able to come back and try it again. Yep, same here. I would also love to watch the videos! Yes, completely agree! Thank you for sharing that. I should have mentioned that. I live in a town that has a very amiable district that has always been nothing but gracious to homeschoolers...in my experience, anyway, but I have to remember that this is not the case in many places. Thank you so much for taking the time to write such encouraging words, Laura. I'm so glad you found me, too! As I always say...homeschooling CAN be a lonely journey. It's always nice to find some other mommas to travel along with. Iron sharpens iron! Thanks for your videos - and for this series! I, like you, love to have things planned out as much as possible before hand and am in the process of working on next year's plan as I type :) I have 4 girls (ages 2-12) so preschool through 8th grade and have to have a pretty detailed plan and schedule if I am going to make it through the year! Thanks for sharing your own methods for planning! 1) Why does she have on a *sweater*??? It is JUNE. 2) Well, maybe she actually filmed this last year and just now has them on the blog. 4) What in the world? Does she keep it freezing in her house? 6) But my gosh, it's still JUNE! FWIW, we're in FL...where today our heat index was nearing 100 degrees. Where, this afternoon (around 4pm) when I got into my van to head to Walgreens, I literally could not touch the steering wheel for a few minutes because it was like grabbing my flat iron. Where, I had to warn the kids not to burn themselves on the buckles...and where we all felt like we were suffocating when we first sat in the van (til I got the windows down to release some of that hot air). On the upside, we're so close to Disney we can see the fireworks from our master bedroom window! Yes, we're passholders (premium, actually, so we do the water parks as well as Disney Quest--three things that provide relief from the heat in the summer!). But still, it's JUNE! Do you not get some relief wherever you live? Holy moly I would DIE if I needed a sweater in June! No wonder you're so adamant about starting in Sept. and stopping at the first sign of summer! You poor things! !